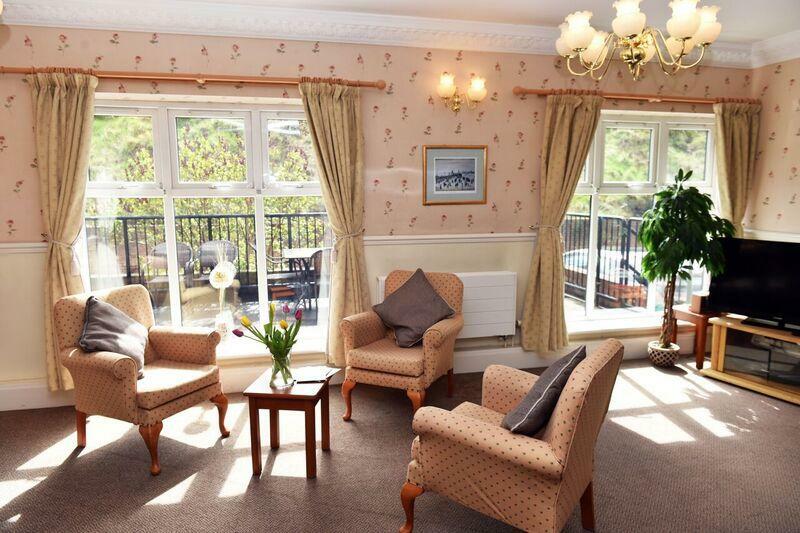 Our purpose-built care home is situated on the outskirts of Huddersfield, in the quiet residential area of Primrose Hill. 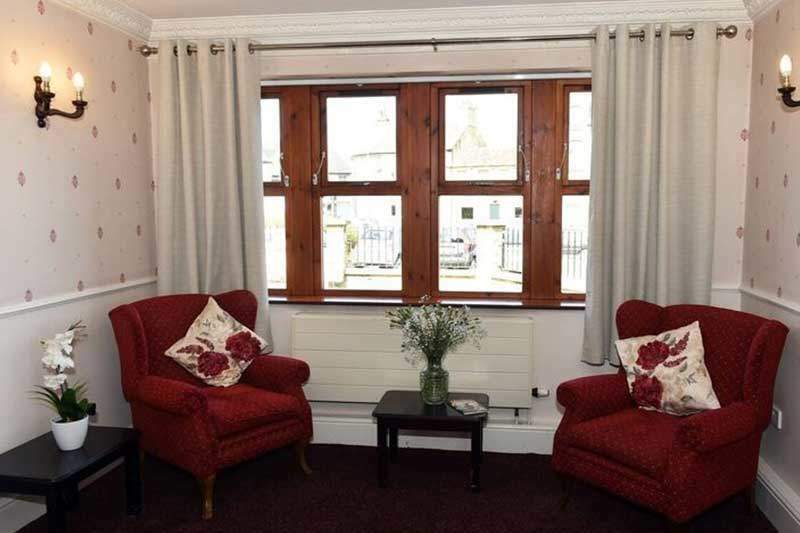 It is on a main bus route to the centre of town and is within walking distance of local shops and amenities. 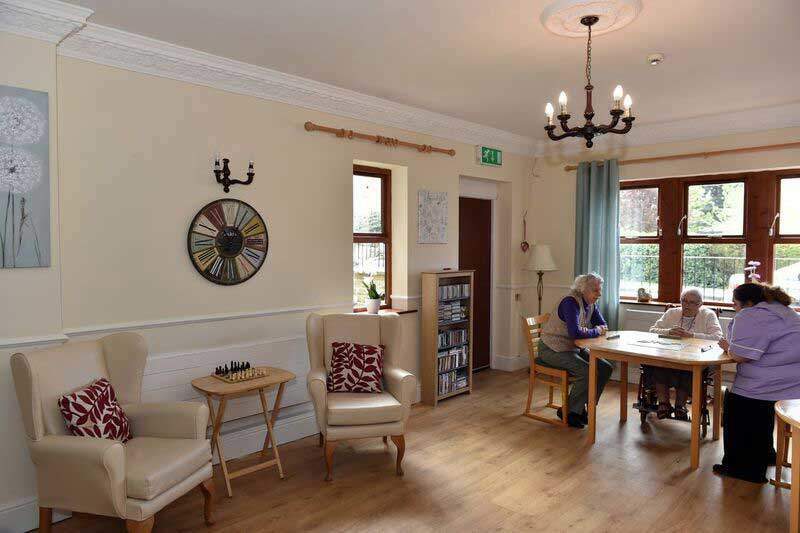 Our home is characterised by a warm and welcoming environment, where residents enjoy independence and privacy with the reassurance of professional support. Providing the highest possible standard of residential and nursing care, our well-established team are friendly and trained to deliver the best possible care. Before a person takes up residence we meet and do an individual assessment. Once in our home we create an individualised care plan that enables us to get to know our residents, their needs, likes and dislikes. Our home has 45 tastefully decorated bedrooms with en suites for residents’ convenience. We encourage the people who reside at Aden Mount to personalise their rooms with items of furniture, photographs and memorabilia so that they feel truly at home. All rooms have TV aerial sockets, Wifi and wheelchair access and of course, nurse call systems for the safety and wellbeing of our residents. We have a beautifully set dining room and with a wide choice of delicious home cooked meals, residents will always find something to their taste at meal times. Should a resident choose to eat in the comfort of their own room staff will happily ensure that they are accommodated. Family members and friends are always welcome to join their loved ones over a tasty meal prepared on site by our team in the 5-Star kitchen; we also cater for celebrations and birthdays. Fresh snacks, fruit and refreshments are available around the clock for our residents. We have four spacious lounges where residents can socialise, enjoy their favourite TV shows or simply relax. As well as a quiet lounge where residents and family members can enjoy some private time away from the bustle of the home. A lift enables people who have mobility restrictions to access all amenities in the home. We have a large, welcoming garden to the front of the home with ample seating where residents enjoy the outdoors during the summer months. We have a dedicated hair salon, and host regular visits from healthcare practitioners such the dentist, optician and podiatrist. 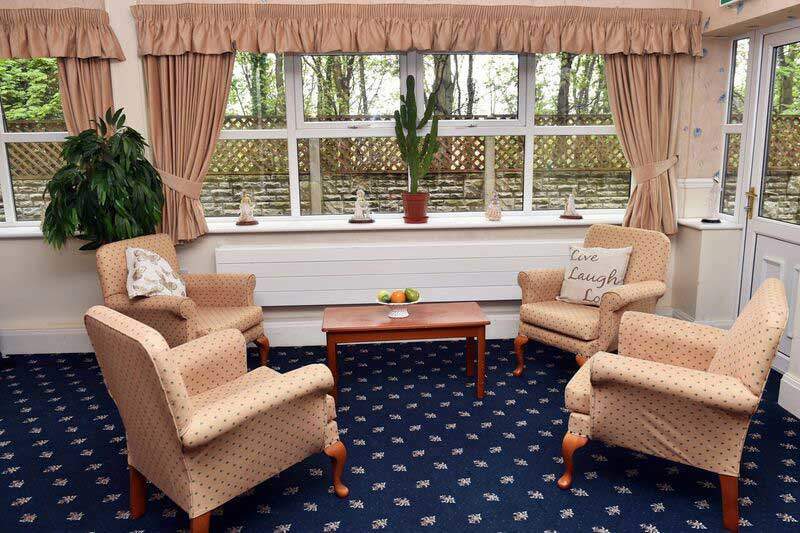 Aden Mount Care Home Huddersfield offers a range of activities including games, arts and crafts and 1-1 pamper sessions. Our activity schedule is designed around our residents’ choices, our dedicated activities coordinator takes residents on day trips to local beauty spots and into town to enjoy shopping, and lunch at local pubs and cafés.